This is one of those little pieces of news that doesn't really mean anything at all when compared to the real issues of the campaign, but is nevertheless interesting and instructive. 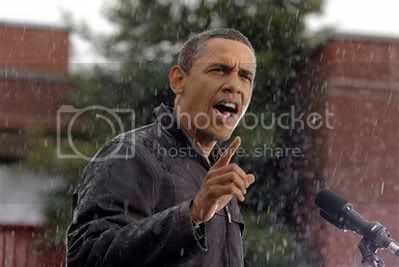 Earlier today, Sen. Obama held a rally at Widener University in Chester, Pennsylvania. 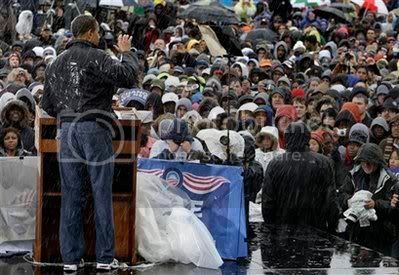 It was cold and pouring rain and 9,000 people showed up anyway. The Obama campaign considered moving its event inside, but couldn't find an appropriate venue, an aide said. An estimated 9,000 people turned out. The comparison of how the campaigns handled the weather says, in some small way, something about the campaigns and the candidates.